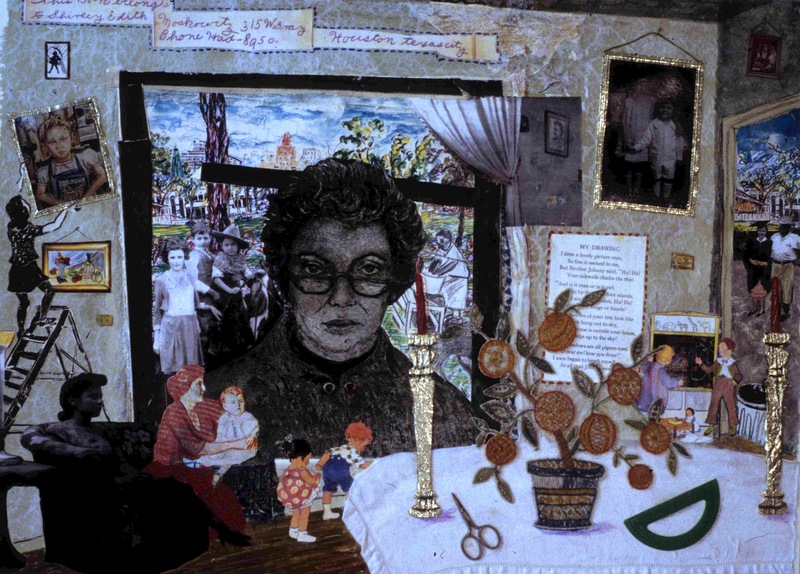 In one of the several self-portraits my mother, the artist Shirley Moskowitz, drew or painted, she used collage material to enhance a print and tell autobiographical stories. The materials include old photographs of her family, snippets of old paintings and drawings, writings and other imagery evoking the memories of a lifetime. Prominent among them is the representation of Sabbath candles in silver candlesticks, placed on a white tablecloth. The image is slightly surprising, as I don’t recall ever seeing Mom light the candles on a Friday night — but she grew up in a home where they were part of the Shabbos routine, and many of the snapshots used in the collage date from those early years. Tablet Magazine has published my article on this project, along with a slide show. It was the first week in September, and in cowboy boots and jeans, camera slung over my shoulder, I crunched through the springy thick tangle of undergrowth that carpets the old Jewish cemetery in Radauti, a market town in the far north of Romania, near the Ukrainian border. Around me stretched the crowded, ragged rows of tilted tombstones: gray and mossy green, some still bearing remnants of the blue and black and red painted decoration that once adorned the exquisite, ornate carving on their faces. I have also finally gone through the hundreds of photos I took on my recent trip and have begun to post them to the photo galleries on this site.